It may seem easy to knock down a wall or two, but commercial demolition is not something to be taken lightly. Rules and regulations, and the realities of owning a business in these competitive economic times, mean that you need commercial demolition professionals you can trust. 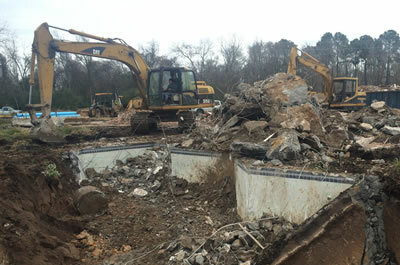 That’s why JRP Services is a leading provider of demolition services here in Houston, Texas. We have the right tools to get the job done efficiently, and we take care of all cleanup your lot will need. We also provide landscape grading services if your looking to level your property to a tabula rasa. Let us help you start fresh with your commercial property. Contact us today to get your free quote!